Hotel Indigo has opened its latest hotel in a Grade II listed building in Durham city centre. The new 83 bedroom hotel has been created at the Old Shire Hall building following a £15 million redevelopment. 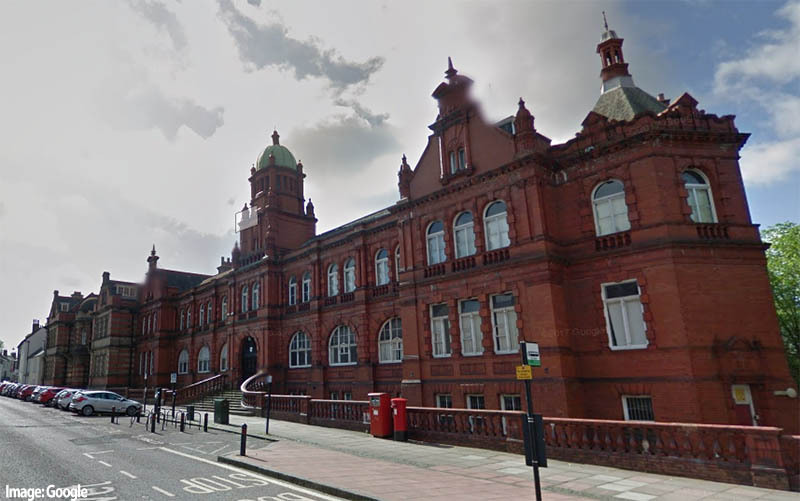 The striking red brick building was originally the headquarters of Durham County Council has more recently has been used as office space by Durham University. Built in the late 19th century and designed by architects H. Barnes and F.E. Coates, the building is just a stone’s throw from Durham Cathedral and Castle which make up the city’s UNESCO World Heritage Site. The cathedral, castle and university are all alluded to in the new hotel’s 83 boutique bedrooms which feature ornate details throughout the three distinct room types, from academia-inspired featuring the University’s official colour, purple, through to grand bedrooms with a sumptuous feel.